Donald Trump has entitled his new book “Crippled America” and if nothing else he’s done those of us with disabilities a big favor. I know, speaking for myself, I’ve been casting around for a disability slogan for years and now, voila, the Donald has worked his magic. That Trump doesn’t mean what I want him to mean doesn’t matter at all—he’s given me a “Don’t Tread on Me” bona fide gimpy flag and I’m going to wave it from now on. I am a cripple. I choose this word to name me. I choose from among several possibilities, the most common of which are “handicapped” and “disabled.” I made the choice a number of years ago, without thinking, unaware of my motives for doing so. Even now, I’m not sure what those motives are, but I recognize that they are complex and not entirely flattering. People– crippled or not–wince at the word “cripple,” as they do not at “handicapped” or “disabled.” Perhaps I want them to wince. I want them to see me as a tough customer, one to whom the fates /gods /viruses have not been kind, but who can face the brutal truth of her existence squarely. As a cripple, I swagger. We are a nation of some 65 million disabled and you better believe we’re tough customers. The law says we have equal rights, but long before the ADA veterans and maimed workers fought hard for the chance at life, liberty, and the pursuit of happiness. Maybe we wince. But we are keen fighters. Always have been. Always will be. Trump’s metaphor is a Tea Party fiction: America is hobbled, not what it used to be, dependent on government, weak in the knees, no longer able to sit up and take nourishment. Not only is this untrue about our nation’s general health and economy, it’s a slur on wounded warriors, human rights activists, disabled children who expect to grow up with good educations and actual prospects, the elderly who need help adjusting to limited vision or arthritis. The 65 million disabled are a large constituency and you better believe we can face the truth of our existences squarely. We don’t need one more book that uses disability as a pejorative symbol. Trump will say he doesn’t mean it that way. I say he does. 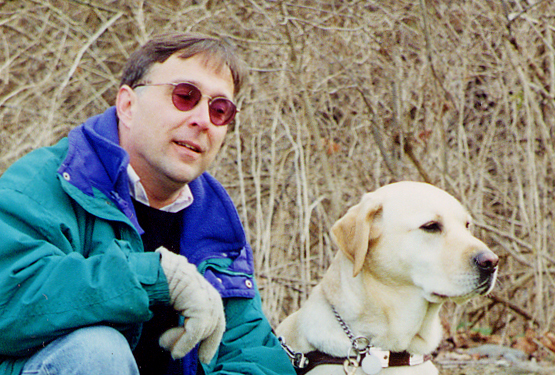 Not long ago I was denied entrance to a restaurant in New York City because the doorman said my guide dog couldn’t come in. Turns out, you guessed it, the joint was owned by a conglomerate belonging to Trump. Sure, it’s always a mistake to impute policy or motives from one ugly incident. But if the Donald can call America crippled I can at least state with some confidence the man has very little awareness of what it’s like to live out here, where those of us with “the conditions” must necessary swagger. Cripple” seems to me a clean word, straightforward and precise. It has an honorable history, having made its first appearance in the Lindisfarne Gospel in the tenth century. As a lover of words, I like the accuracy with which it describes my condition: I have lost the full use of my limbs. “Disabled,” by contrast, suggests any incapacity, physical or mental. And I certainly don’t like “handicapped,” which implies that I have deliberately been put at a disadvantage, by whom I can’t imagine (my God is not a Handicapper General), in order to equalize chances in the great race of life. These words seem to me to be moving away from my condition, to be widening the gap between word and reality. Trump has, alas, widened the gap between real cripples and reality. Before we swagger, we need to be a more cohesive body. By the nature of being “crippled, ” which I have literally been for 35 years since age of 23, we are a scattered and ragtag group. Disabled rights are civil rights but to do that we need more than sanitzed PSAs to communicate. Disability invokes the shadow of the able bodied and able minded. This, like internalized mysogeny, homophobia, or bigotry, needs to be addressed face on. Years ago a med school faculty member told me I frighten and shame others because I keep on fighting: my aging and “deformed” body, the medical industrial complex and the government, to be fully human and actualize my full pitential and rise above ignorance that does not see me. We must address a deeper fear than being “other,” we have to address “it could be me!” Until this occurs we scare the hell out of them because, like titanium, we adapt, flex and do not break. And they fear they are made of the most fragile glass.